Uncategorized | Cross Creek Farms Inc. Breeding and raising show jumpers is an exercise in accumulating horses! 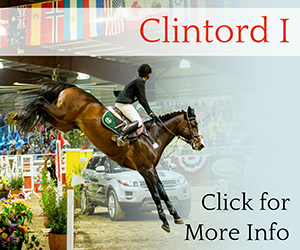 Start with a couple of nice mares purchased for grand prix level competition and eventually retired to the farm for a second career as mommies. Import a spectacular young Holsteiner stallion, Clintord I, winner of the Holsteiner Verband 70 day stallion performance test in Germany as a 3-year-old and already a sire in demand in Europe. Start raising babies. Now it’s four years later and our herd consists of the same two mares, the stallion, two offspring per year from the same two mares for four consecutive years – 2013, 2014, 2015 and 2016. And both mares are safe in foal for 2017 as well. That means by this time next year we will be housing thirteen equines here in Tucson (not counting the retirees) and the oldest crop will be ready to leave home and start their education in the show-jumping world. Prior to the ‘Clintord Years’ we had been raising horses for decades, primarily thoroughbred hunters sired by our CCF Fisher King. We switched to warmbloods in 2008, raising our first foal out of the grand prix mare Charisma 57. 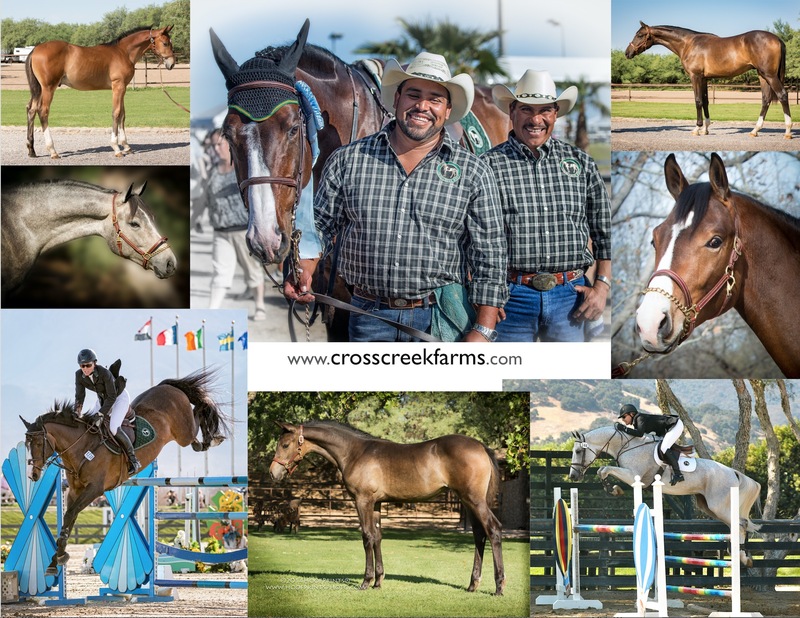 Those warmblood offspring are already enjoying success in the show ring in the young jumper divisions, starting with 7-year-old CCF Caramel (Durango La Silla – Charisma 57/Contango), 6-year-old CCF Yasur (Ocean I – Aida Z/Andiamo), and the two 5-year-olds CCF Hibiscus Coast (Durango La Silla – CCF Luminous/CCF Fisher King) and CCF Savusavu (Ocean I – Nouska/Julio Mariner) – all four of these youngsters highly ranked in Zone and HOTY ratings and winners of top placings in the Young Jumper Championships over the past few years. And now that the Clintords are coming of age, we are really, really, REALLY looking forward to the coming years.